Anton Najjar is a hospitality industry executive with international experience in hotel operations and development. 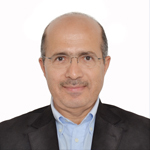 He provides independent advice to hotel owners and operators on how to best leverage their partnerships in existing hotel operations and for the development of new properties with special emphasis on the Middle East and Africa Region. His career in the hotel industry spans over 44 years with two global organizations, Intercontinental Hotels and Marriott International. Before joining Marriott in 1978 he was Regional Director of Finance for Intercontinental Hotels in the Gulf when Intercontinental developed their first hotels in the UAE and Oman. He provided financial leadership and managed hotel owners’ relations. As Vice President with Marriott International for the Middle East and Africa based in Dubai he directed Marriott hotel operations and expansion in the Region (this responsibility encompassed 19 operating hotels in nine countries offering almost 5,000 rooms and spanning three lodging brands). As Vice President of Lodging Development he developed the first Courtyard by Marriott property in the Middle East as well as other flagship Marriott properties. Anton Najjar is well traveled having lived and worked in over fifteen countries in Africa, the Middle East, Asia as well as North America. He launched his career from Jerusalem then spent several years in the Ivory Coast, Congo, Gabon, Zambia and other African/Middle Eastern countries with Intercontinental Hotels. He then spent 12 years as Resident Manager and General Manager of Marriott properties in North and South Carolina and in New York City before returning to Dubai. He is affiliated with Guidepoint Global Advisors and the Coleman Research Group. He resides in California and travels regularly to the Middle East.